Well cheers coke and comics how the hell do I follow that. You know I'm getting fed up with all of you being better writers than me, just quit it ok.
Then I saw that cover above, the entire planet is in the grip of Jaws, a generation of Kiwis are terrified of swimming at the beach(a terrible thing in a country where you are 2 hours from the ocean at worst), and theres a huge shark on that cover. I'm in. Mate COR!! is gone so fast its like Im the Flash, well Paulie Quick...nah, no ring to it. 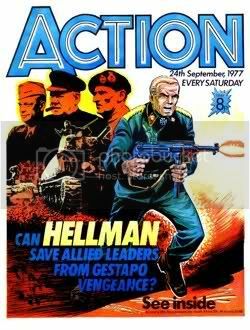 Dredger was a subtle take on Dirty Harry, Blackjack the boxer who risked death every time he fought, Hellman the German Panzer commander who disobeyed his nazi superiors, and the obligatory sports story. There were some other strips of which I have zero recollection too. Then in the 12 week things started to change, they introduced the story Look out for Lefty, and a week later the classic Death Game 1999. Lefty was a strip about a left-footed striker for some 3rd grade team, battlers not pros,and how he takes them to stardom, but it dealt with the problem of Football hooliganism. Needless to say it riffled a few feathers, and after reading somewhere that the character was based on someone who had played at Middlesborough, led to my lifelong obsession with that team, to the amusement of football-fan-friends. Death Game 1999 however is where its all at. 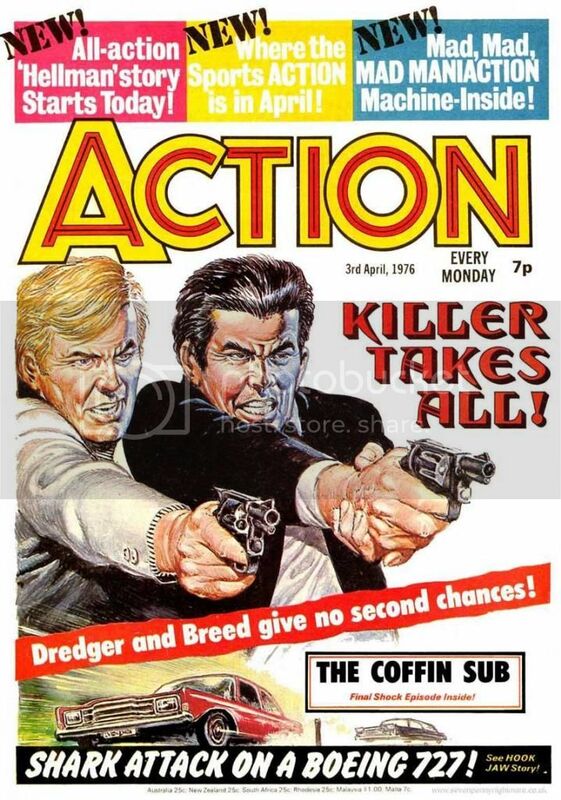 A subtle (just like Dredger above) take on the Rollerball movie, this obsessed me. It was everthing an 11 year old could possibly want in a comic, it was everything Superman and Batman werent, I did (and still do) love it. Action burned bright, but not for long, every 11 and 12 year old knows that when they find something they REALLY love, then the adults are going to come along and screw it all up for you. 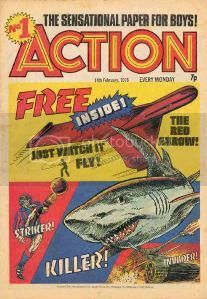 As Fredrick Wertham did for the american comic in the 50s, wrecking the really fun stuff, the British parent did for Action. When parents finally woke up and saw what their kids were reading they flipped out. The editors hacked, and the editors slashed, but they never really got humpty together again. What they could print now was just a hollow shell of my beloved book, no guts, no glory. They eventually folded the book into Battle, but no-one cared by then(us 11 year olds are pretty fickle too I guess). 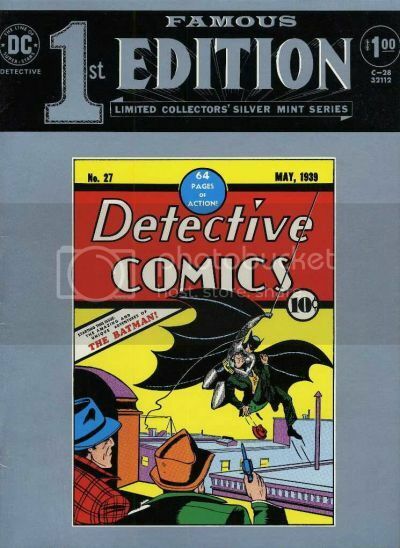 Synopsis: A reprint of Detective Comics #27. Do I need to provide a synopsis of Batman's first appearance? I thought not. 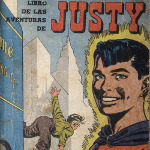 Why I chose it: In the late 70s I had been reading comics for several years. My love for superheroes was growing and, of the all the superheroes, my favourite was Batman. Then one day I was visiting some of my cousins and found this comic tucked in the bottom the drawer. Seeing me reading it, my cousin said I could keep it if I wanted. Boy, did I ever! This was Batman in a raw form, but it was still Batman, and that raw form was fascinating. 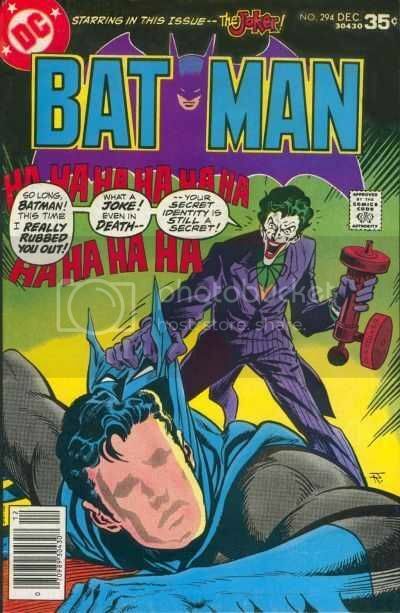 And, in those days before reprints were common, being able to read Batman's first appearance was mind blowing. 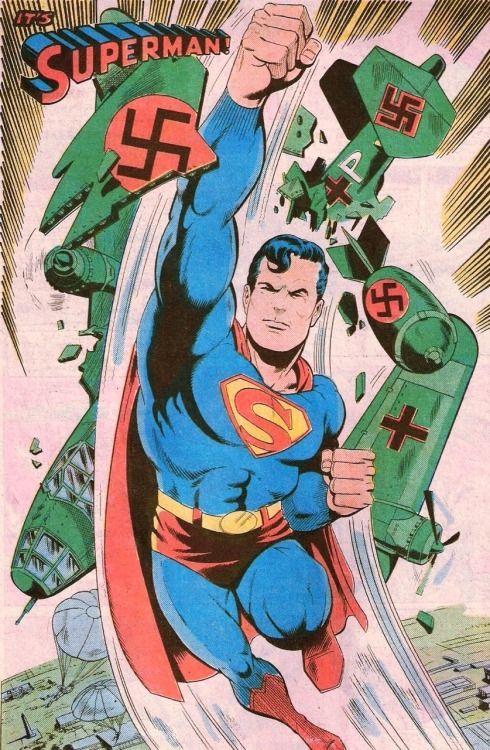 But I think the most important thing this issue did was instil in me an appreciation of comics history. Here was a reprint of comic that had been printed nearly 40 tears earlier! Comics could last, and old comics were just as interesting as new comics. That sense of history and would (in future years) become an important part of my collector bug. Just like the day before yesterday's selection, today's pick is another issue of Marvel Tales reprinting a classic Spider-Man tale by Stan Lee and Steve Ditko. In this case it's Amazing Spider-Man #20 that is being reprinted. I've talked in the forum before about how this is my favourite issue of the Lee/Ditko run; it just packs in so much story, mystery, character development, and action into its 20 short pages. Stan Lee's writing is some of his best ever in this issue, with the development of J. Jonah Jameson's character in particular really fleshing ol' flattop out properly. Mac Gargan (a.k.a. The Scorpion) is also an interesting and genuinely threatening villain, as well as a somewhat tragic figure. Ditko's artwork here is really, really good too and wonderfully atmospheric in places. His action sequences here are also great: in particular, the rooftop fight between the Scorpion and Spidey, with huge chunks of masonry and brickwork flying about, is really spectacular and wonderfully staged. I can't even begin to imagine how many times I've read this comic. My first copy is still in my possession, although it's crumpled, dog-eared, and stained, with its cover still barely attached. That doesn't matter though. In terms of single issue comic books that have tremendous sentimental value to me and also continue to entertain and delight, regardless how how many times I read them or how old I get, this issue had to be near the top of my list. It's been so many years since i read this story I could have the following all wrong, but my memory tells me that there was a line in there somewhere that made a big impression on me at the time. It was while the Scorpion was on his rampage: I can't recall what exactly he said or did to provoke this realisation, but the thought suddenly comes to Spider-Man (as the reader learns from a thought-balloon) that the Scorpion has gone mad with his sheer, physical power. It was a chilling moment of a kind you don't often see in superhero comics, a glimpse at how scary the consequences might possibly be if the kind of superpower imagined in these stories were actually granted to someone. 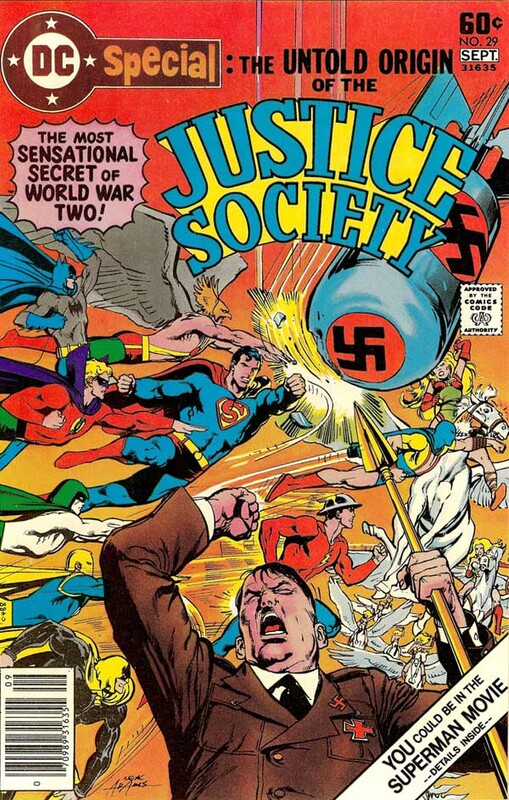 "THE UNTOLD ORIGIN OF THE JUSTICE SOCIETY"
Since everyone knows you can't split an atom, he's ok and so is FDR. Youngblood has a secret origin?! It was inevitable that a comic would end up on this list to represent my love for the Marvel Universe that was built over the course of the 1960s, it was just a question of which one. Perhaps equally inevitably it would have to be an issue from the legendary Lee/Kirby FF run, and arguably no single issue epitomizes everything that made that run great better than this one. Yes, Kirby offers one of his most iconic images in that splash page (which is even more effective than the cover, the elements of nature evoking the inner turmoil that poor Ben is enveloped in) and the attendant story is littered with his usual bevy of dynamic bodies in impossible motion. And he achieves a new level of expressive experimentation with that stunning splash page of Reed entering "the crossroads of infinity" (2001 cosmic consciousness as spectacle before 2001). But what makes this issue (and this period of the Lee/Kirby collaboration) so special is the absolute synergy between those Kirby graphics and Lee's purple prose (reflexively summed up by Ben's self-admonishment about "sounding like a soap opera"). This issue has it all: danger in the Negative Zone and personal envy bear equal weight on the narrative and, in fact, the former becomes a prop for actualizing a redemption narrative derived from the latter. Reed almost getting lost in the Negative Zone parallels Ben's own loss within the "negative zone" of his Thing identity; or is it that Ben needs to be the Thing more than he has been willing to admit? Quite simply, it's a superhero comic book about what it means to be a hero while acknowledging a dramatic ambivalence about being super. Certainly common Lee themes but perhaps never more poignantly expressed than in the story of "This Man... This Monster!" This would be very near the top of my list for favorite Marvel issues. FAVORITE team you gin soaked mountebank. Part 4 of "Where Were You on the Night Batman Was Killed?" 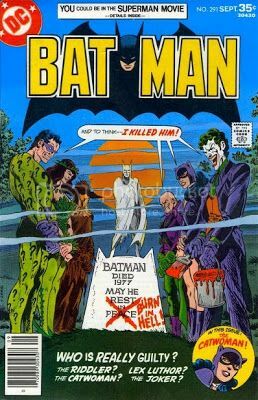 It started, as foxley wrote a couple of days ago, with a cover that hooked you: classic Julie Schwartz concept, impeccable Jim Aparo execution. . . . It was obvious that Batman wasn’t really dead. And there was a good chance he was disguised as someone at the trial. But still there had to be more. There had to be a reason behind the trial. And I couldn’t wait. By then I had bought enough back issues to know that that Reed played fair. I had to see how he explained all this. And it was worth it--if you were open to fun. Not everybody was. There were letterhacks complaining that Ra’s uh Ghul, for one, would never participate in such a farce. Entirely correct--in the right context. Unfortunately, those accepting this context, a world where costumes and angst did not have to go hand-in-hand, were a dwindling few. Hey, I see some of you here. If loving Underworld Olympics is wrong, I don't want to be right. That second line above should pretty much say it all. He wrote, penciled, inked and colored this entire book by hand...and it looks fantastic. How many artists are there out there who can seriously claim that they are not only true masters of each of those four elements of comic storytelling but that they can also do all four at once and not have any one facet out shine the rest? Off the top of my head I can't think of a single one. I mean, just look at this issue; it tells an epic worthy of Homer about a caveman banished from his tribe and forced to wander his prehistoric world alone that is full of beautifully defined characters. A wonderfully rendered Paleolithic world, that looks practically photo-realistic at times. A combination of heavy inks that invoke a deep sense of foreboding and brutality and more delicate inking around certain characters that illustrates their frailty and a beautifully muted pallet of colors that gives you the feeling that this is a real, lived in world. Each one of those things on their own would easily merit a book being called "good" but together they make it amazing. 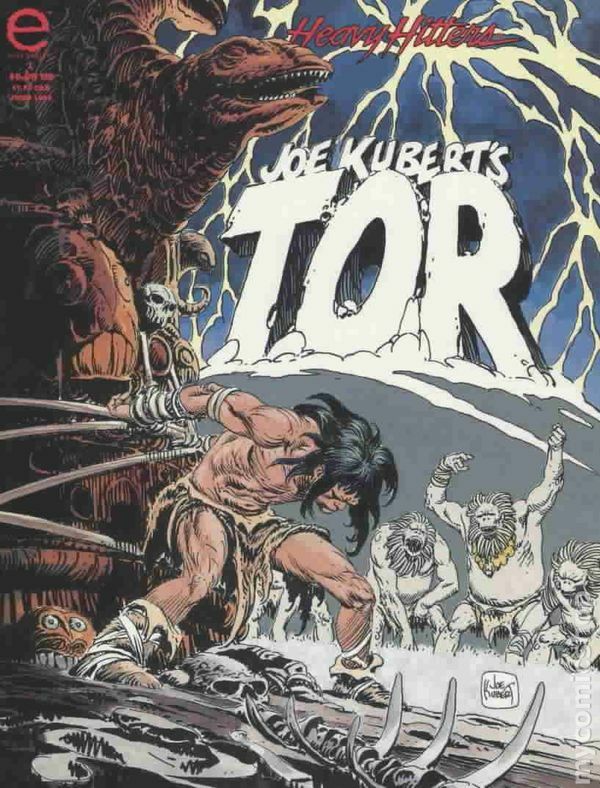 I love all of Joe Kubert's Tor books, but this issue is probably the best and that's not just my love of dinosaurs talking. This is art. Each panel is perfect and could be framed in a museum. In the pantheon of great comic artists, I think Kubert reigns king, and not only because his art was great but also because his style never got stagnant, he never plateaued. 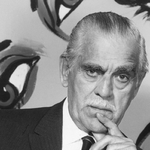 He was a guy who always strove to be better and you can see that in his art, it grows as he does and he kept growing all through his career...right up until his death. Again, how many artists are there who did that? How many put that kind of determination, perseverance and care into their art all day everyday for their entire lives? And as if that weren't enough, he was just about the nicest guy in the world. I've had the pleasure of meeting plenty of greats but none were as conversational as Joe. He didn't work a line, he honestly liked meeting with his fans and would talk and listen to each of them like they were a member of his own family. He was the best. And though he's now gone I will always remember him and cherish the times I met with him. And all of that started with this book back in 1997. This wasn't my first X-Men comic (X-Men #1 has that honor), but this is what really sucked me in to the X-Men franchise. I stumbled upon this comic during my first visit to a comic store in my hometown. I knew I was interested in back issues, but had no idea where to begin looking. However, amidst the dozens and dozens of drawers of back issues, a label caught my eye: Uncanny X-Men. I recognized the series so I was drawn to it and begin picking through dozens of comics. I only had $20 I had received for my birthday so I was keen to choose the best issues I could find. Having no idea what comics were good, I grabbed a few that caught my eye, including UXM 219. 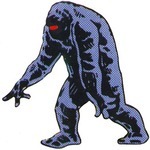 The cover showed the X-Men menacingly approaching some character in black, named "Havok". I had no idea who this Havok was and immediately was interested in finding out what the story was behind him. 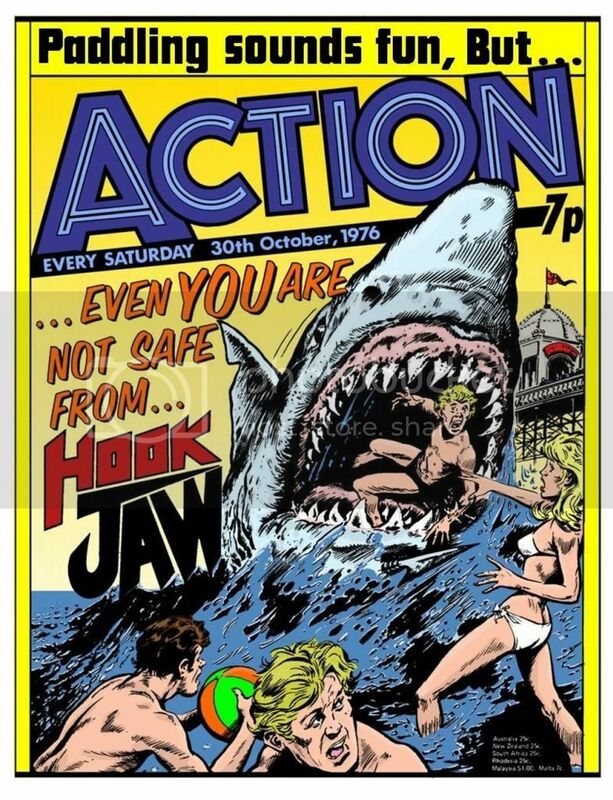 This comic was much more expensive than the others so I hoped that it would live up to the hype the cover was offering. Needless to say, that single X-Men comic is what made me an X-Men fan. The story is about Havok searching for the X-Men after he has nightmares that they are in trouble. He then travels to New York and finds out that his friends are now allied with Magneto, their sworn enemy! The entire issue is developed through Havok's internal monologue, portraying his feelings of doubt and insecurity of rising to the challenge. As someone with anxiety problems of his own, I could really relate to Havok as a character and this issue cemented him as my favorite Marvel character. The ending of the issue is a real cliffhanger and made me eager to find out what happened next, sparking a hunger for more X-Men stories. Most people would be quick to right off the "Outback X-Men" era as substance-less, but there were real gems buried in that era and this is one that holds a special place in my comic collection. Sir, you make a fine preacher at the church of Kubert. Tor is and ever shall be the sacred scripture. Quit not my friend, for you have just blown my mind out of it's ignorance with this insane choice of Action #1. That is something else. Nice job AA. I love that story as well. 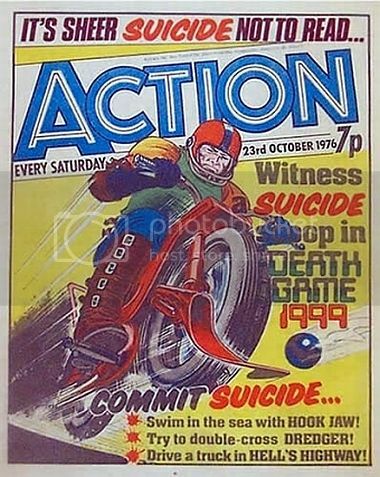 I remember picking up the digest with this gem and devouring it. I have an attraction to the 40's for all the terrible things that transpired in that decade, but this tale of the occult and heroism, and secret patriotic missions really appealed to me. Still does. Ha, I do my best but I feel I have failed for as I thought back and forth between this issue and my number one I chose to cast Tor ever slightly aside. My last two pick are an expounding of firsts. Sounds biblical, but really it's just instances of wonderful revelation. I had been out of comics for more than 20 years by the time 2005 rolled along. In fact I had long ceased to give them much thought. My childhood collection of comics was still intact and fairly handy too, but nothing really urged me too revisit my past. Then one day now forgotten circumstances led me to stumble upon mention of Steve Gerber in some desultory Internet browsing session. It sparked a light. A long dormant current of thought prompted me to dig into my original stash of funny books and haul out my copy of Defenders #32. 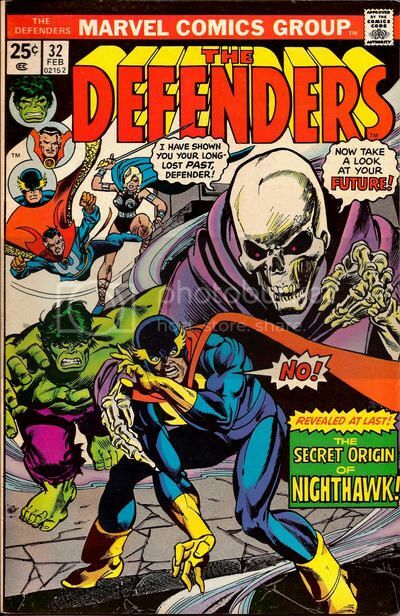 The thing about Defenders #32 is that it is probably the weirdest of Gerber's famous Headmen run. It is full of disturbed interiority and symbol laden dream sequences. As a kid I kind of tossed this issue aside. Too light on action. Too damn "out there." But this late session of rediscovery had me newly intrigued about this oddity. It had me eagerly immersing myself in streams of art and inquiry which hitherto seemed very "un-comic" like. Well, I admit the "elf with a gun" enigma captured my attention no less as a kid than as an adult. How could it not? But if I also had never forgotten the name of Steve Gerber, now at least I began really appreciate him. And I wanted more of him. This guy was brilliant it turned out. And I wanted more of comics altogether. I wanted to get back into the damn funnybook business after 20 some years away. And here I am today. 'Nuff said and thank you Steve Gerber and Defenders # 32.